For decades now, the story of art in America has been dominated by New York. It gets the majority of attention, the stories of its schools and movements and masterpieces the stuff of pop culture legend. Chicago, on the other hand . . . well, people here just get on with the work of making art. Now that art is getting its due. 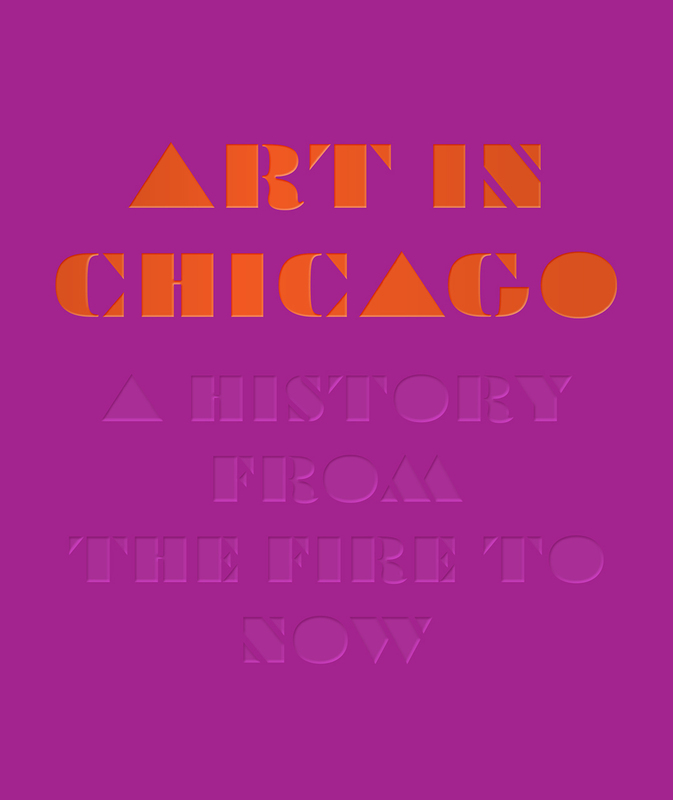 Art in Chicago is a magisterial account of the long history of Chicago art, from the rupture of the Great Fire in 1871 to the present, Manierre Dawson, László Moholy-Nagy, and Ivan Albright to Chris Ware, Anne Wilson, and Theaster Gates. The first single-volume history of art and artists in Chicago, the book—in recognition of the complexity of the story it tells—doesn’t follow a single continuous trajectory. Rather, it presents an overlapping sequence of interrelated narratives that together tell a full and nuanced, yet wholly accessible history of visual art in the city. From the temptingly blank canvas left by the Fire, we loop back to the 1830s and on up through the 1860s, tracing the beginnings of the city’s institutional and professional art world and community. From there, we travel in chronological order through the decades to the present. Familiar developments—such as the founding of the Art Institute, the Armory Show, and the arrival of the Bauhaus—are given a fresh look, while less well-known aspects of the story, like the contributions of African American artists dating back to the 1860s or the long history of activist art, finally get suitable recognition. The six chapters, each written by an expert in the period, brilliantly mix narrative and image, weaving in oral histories from artists and critics reflecting on their work in the city, and setting new movements and key works in historical context. The final chapter, comprised of interviews and conversations with contemporary artists, brings the story up to the present, offering a look at the vibrant art being created in the city now and addressing ongoing debates about what it means to identify as—or resist identifying as—a Chicago artist today. The result is an unprecedentedly inclusive and rich tapestry, one that reveals Chicago art in all its variety and vigor—and one that will surprise and enlighten even the most dedicated fan of the city’s artistic heritage. "The most comprehensive treatment of the topic to date. . . . The book conspicuously lacks timelines and keywords, avoiding the encyclopaedic approach of past efforts. At the heart of this new history is instead a compelling story about how artistic identity is formed in the shadows. . . . All of these topics are deeply covered in the book's excellent essays." "The book makes a persuasive proposal that Chicago, as a metropolitan art center, was and still is ahead of the curve. . . . The contributing authors and editors of Art in Chicago do not merely chronicle the recent progress and issues that arise around this unique but fickle economy; they also present tangible dialogue between artists, writers, and curators in an extensive series of interviews that comprise the latter half of this book. I have barely been able to touch on the wealth of knowledge and history this comprehensive text has to offer, let alone the cultural ambitions that can be garnered from the discussions in it. . . . It is a resource and reference that feels essential not only to anyone who is interested in art but also to anyone who is interested in urban life and culture, as well as politics and history."